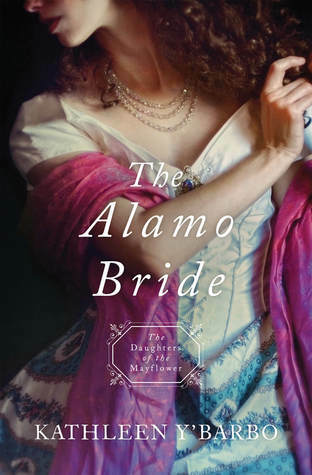 The Alamo Bride (2019) by Kathleen Y’Barbo is the seventh novel in the Daughters of Mayflower series published by Barbour Publishing. This novel comes in all forms including eBook, and is 256 pages in length. With a full-time job and a very lively six-year old, this book took me three days to read. I received a review copy of this novel in eBook form from the publisher, Barbour Publishing, via NetGalley. In no way has this influenced my review. The opinions expressed in this review are my own. I give The Alamo Bride 5 STARS. This novel is a Historical Christian Romance. There is so much to love about The Alamo Bride. It’s a novel where history comes to life and leaps off the page. The story is so engaging the pages flew. And, the characters are fantastic. I loved every minute of this fun, witty, adventurous story! Ellis is my favorite character in this book. I very much appreciate how strong-willed, intelligent, and capable she is. It doesn’t feel forced or part of a feminist agenda; rather, it feels natural. Ellis is who she is because God made her that way. It’s so very refreshing to read about an authentically strong woman. I also really love the way Ellis relates to others. She is genuine, honest, and loyal. She loves her family and sees the immense blessing God has given her through her various and unique family members. I especially love her relationship with her grandfather. The way she can run to him when she is troubled. The way he can calm her down and get her to see reason. The way they each value one another. But I also appreciate that her grandfather doesn’t cut Ellis any slack. He tells her how things are, and he keeps her honest about her faith in God. It’s so critical to have a family member or friend like Ellis’s grandfather — a wise adviser who helps guide you along the path God’s set for you. There are a few timely themes in this novel, but my favorite is the message on trusting God. Trusting someone is really hard. When you trust someone, you have to give up a lot of your control. In this novel, it is Ellis’s grandfather who helps Ellis work though her trust issues. Ellis, like a lot of people (me especially), sometimes has quasi-trust in the Lord. We say we do all the time, and in the good times we definitely do. But when things get scary or hard, we might forget God in order to control things on our own. We are sure we have the right answer. My most favorite moment in the novel occurs when Ellis is freaking out about her dad and brother. To paraphrase the conversation, Grandfather asks Ellis, “Do you trust God?” Ellis says, “Yes, but…” Grandfather tells her that there is no “but” with God. We either trust God completely, or we don’t trust Him at all. This conversation 1000% convicted me! Relinquishing control is SO hard, but SO necessary if we actually believe in God. If we believe in God, we must get out of His way and let Him be God. I love this message, and really needed this reminder. The Alamo Bride is a thoroughly engrossing, fast-paced story that I highly recommend. 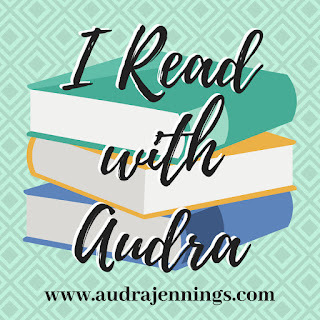 If you are looking for a well-researched, beautifully written historical romance with timely themes, then The Alamo Bride is definitely a must read for you! This wasn’t one of my favorites in the series but I still enjoyed it. As a whole though I love this series and I’m so happy they keep adding to it! Great review and I agree with the points you brought up! I agree. I’m glad they keep adding to it. It’s become one of my favorite series.